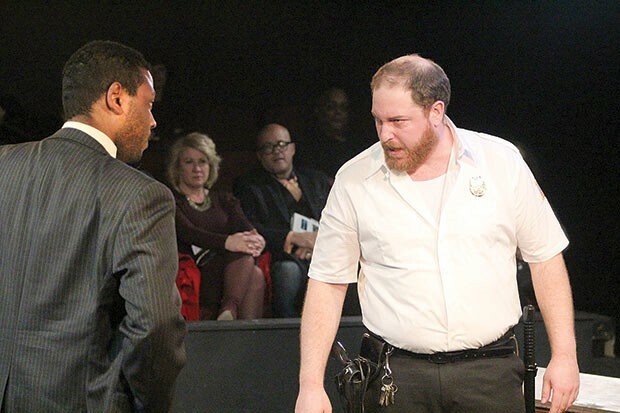 Playwright Matt Pelfrey’s stage adaptation of In the Heat of the Night takes place in 1962 in Argo, Ala., eight years after the largely toothless Supreme Court ordered an integrated society, and two years before Congress finally bit down and passed the necessary laws to begin to make it happen. But really, it takes place in our memory of the still-potent 1967 film, a reworking of John Ball’s 1965 novel. 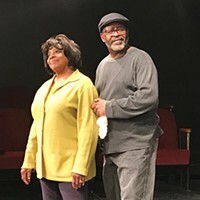 Pelfrey more or less adapts them both in his play, now being staged by Pittsburgh Playwrights Theatre Company, condensing the story into a well-meaning and enjoyable 97-minute whodunit that nonetheless strains at its familiarity. It’s hard to watch this play and not think about the film, and maybe ever harder to see it as anything but another rendering of a tale that’s been copiously told in the past half century. No important story ever grows old, and this one is certainly that. But the current production requires more nuance to give us something fresh to take away. The story revolves around the murder of a real-estate developer whose project will bring jobs to little Argo, a few of which will probably go to the area’s black citizens, who still live under the weight of now-illegal segregation. That bothers some of the local good ol’ boys, who would rather see white folk get all the jobs — and see black folk lynched like they were in the good ol’ days. Gillespie (Daniel Pivovar), the town’s big-bellied sheriff, is surprisingly low-keyed in his racism for a man of his time and place. Some other townspeople — the mayor (Arthur Peden), a cop (Tal Kroser), a restaurant clerk (Adam Seligson) — are not. Then, into their lives comes Virgil Tibbs (Kevin H. Moore), a black police detective from Pasadena, Calif., who’s passing through town, and who helps them investigate the murder, despite the festering resistance that surrounds him. Director Monteze Freeland makes excellent use of a spare stage, and Piper Clement’s lighting ably focuses our attention. No seat in this theater is more than three rows back, yet most of the actors perform at a volume that could reach a second balcony. 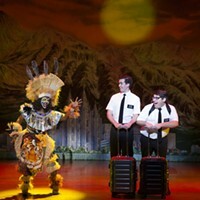 It’s deafening at times in a play that could well be as loud as a whisper and still elucidate its point, and it makes the drama’s racism feel too aggressively arrogant when it need only be quietly confident. The result is a story told in black and white through caricatures who never seem to grow or live in the moment. Not all of the actors fall into this trap. 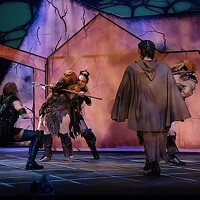 Peden, shrill as the mayor, is coolly absorbing as a local big shot (some actors play multiple roles), and Seligson modulates effectively for two of his. The standout is Jonathan Visser as an Argo cop who hesitantly begins to like and respect Tibbs. Their relationship often strains, but it still offers some muted hope in the cacophony of national disgrace. 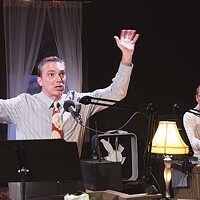 Midnight Radio: A Christmas Story at Bricolage Production Co.